Welcome to the Capital District's magic club. Members of our club include illusionists, close-up magicians, kids show magicians, magic collectors and magic enthusiasts. The purpose of our organization is to promote the art of magic by learning to perform it well, to preserve its history and to assemble collections of past magicians and paraphernalia. Assembly #24 is one of the oldest Assembly's in the Society of American Magicians. It is named after Past President Jay A. Gorham. Jay was a Professor and Mathematics Chair at Hudson Valley Community College. He is an active magician and magic collector. 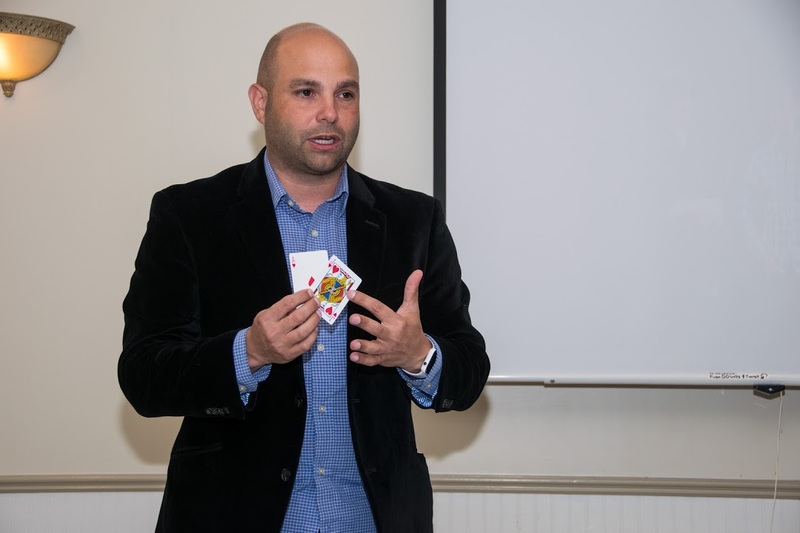 After moving from this area to Arizona, Jay became the National President of the Society of American Magicians in 2004. 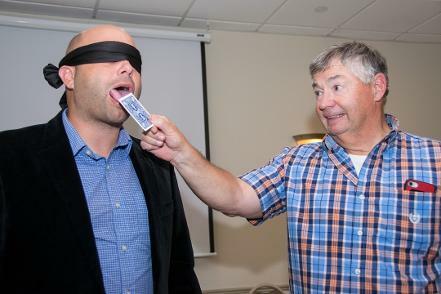 Last month Dan Sclare contacted me about recruiting a few magicians willing to do some magic for the juvenile diabetes walk at the Great Escape in May. Sometime ago, Scott Payne announced that he was looking for some magicians to help out with a magic summer camp sponsored by the Schenectady Children’s Theater. Volunteering is a great way for novice magicians to gain some experience performing for real people, not just other magicians or family. It is also a good way for us older guys, who may have packed our magic wands in moth balls, to stay in the game. Volunteering is fun, it is rewarding, and it is a good way to promote magic as a performing art. It is also a way of giving something to the community. It is a win-win situation for everyone involved. Every Tuesday: THE MORNING MAGIC GROUP: meets at 7:30 at Panera in Saratoga. Call Cliff, Dave, Roger, or Helen for information or directions. Sunday, May 19, 2019: Assembly 24, Spring lecture at the Fort Hunter Fire House with Craig Dickson. The doors open at noon and the lecture starts at 1:00. Vinny Grosso gives a guest lecture. Directory Sign Up Attention SAM Assembly 24 Members: We would like to put a Membership Directory on this website. It will be a password protected page, so only other members would have access to it. Please consider signing up by clicking the button below and filling out the form. Thank you.